﻿ Centara Grand at Central World Hotel, Bangkok | FROM $113 - SAVE ON AGODA! 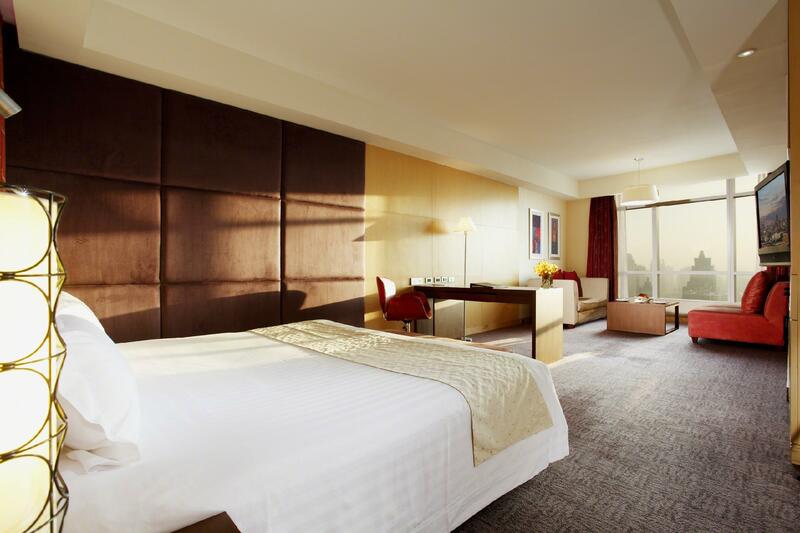 "Great place, convenience with the shopping mall attached"
Have a question for Centara Grand at Central World Hotel? "Check in, room and breakfast were good." "The hotel is accessible to bts which is important to get around bangkok." "Very near to shopping mall , just at corner of central walk." "View from roof top restaurants is very good." 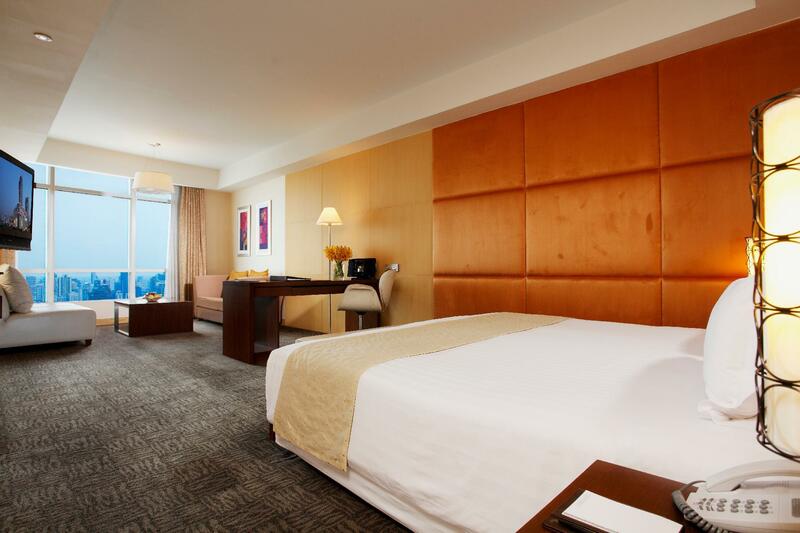 The Centara Grand at Central World Hotel is one of Asia Pacific's largest hotels, with over 500 rooms and suites, all fully equipped with modern amenities to ensure the most comfortable stay. 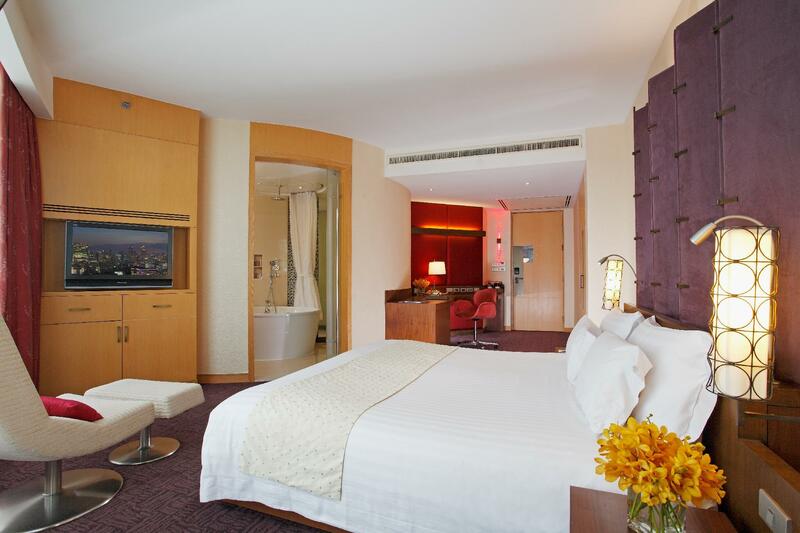 The hotel is located within Bangkok's central business district, connected to Central World, Asia Pacific's largest lifestyle living mall with over 500 stores and 50 restaurants. Guests will enjoy the convenience of easy access to both the Siam and Chidlom BTS stations via the skywalk, making it unnecessary to endure the city's chaotic traffic jams. On-site restaurants include Fifty Five, the open air Red Sky on the 55th floor offering dramatic views over Bangkok, as well as Ginger serving Chinese, Japanese and Thai food. There is also The World, a 24-hour international dining experience on the 24th floor. Unwind after a long day with a visit to SPA Cenvaree for a variety of relaxing treatments. 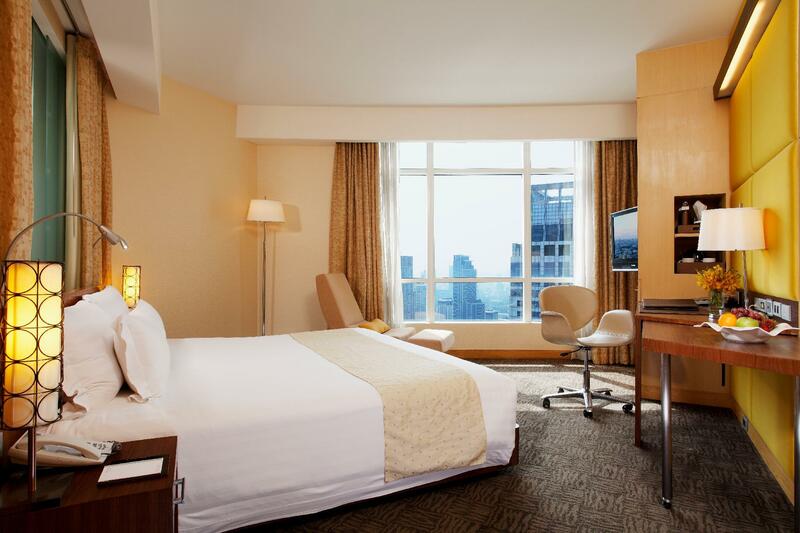 A central location, with easy access to the famed shopping areas of the city, Centara Grand at Central World Hotel will please even the most discerning of travelers. The Extra bed applies only for a Twin bed. If you're looking a 3 star hotel, then I will recommend this hotel. Staff were courteous and accommodating. 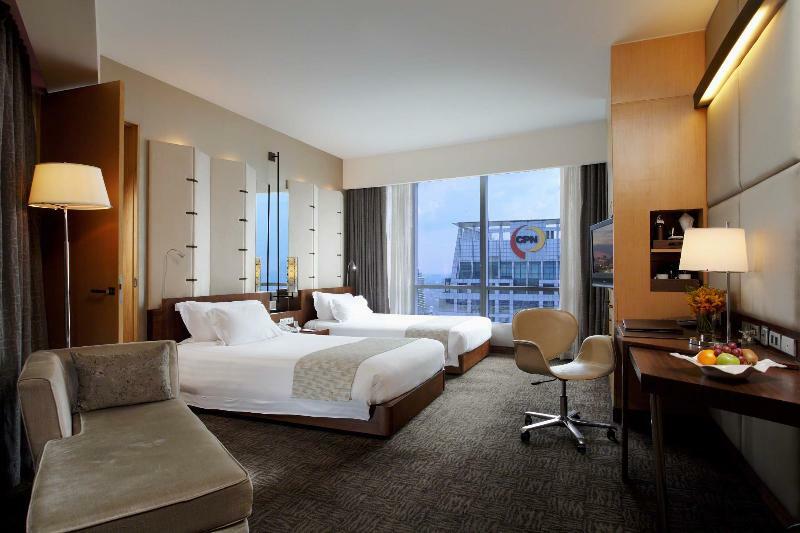 Interior of the hotel is not that new anymore unlike the neighboring Hyatt Hotel. There is a certain smell in this hotel that I don't like. Overall, it is okay. 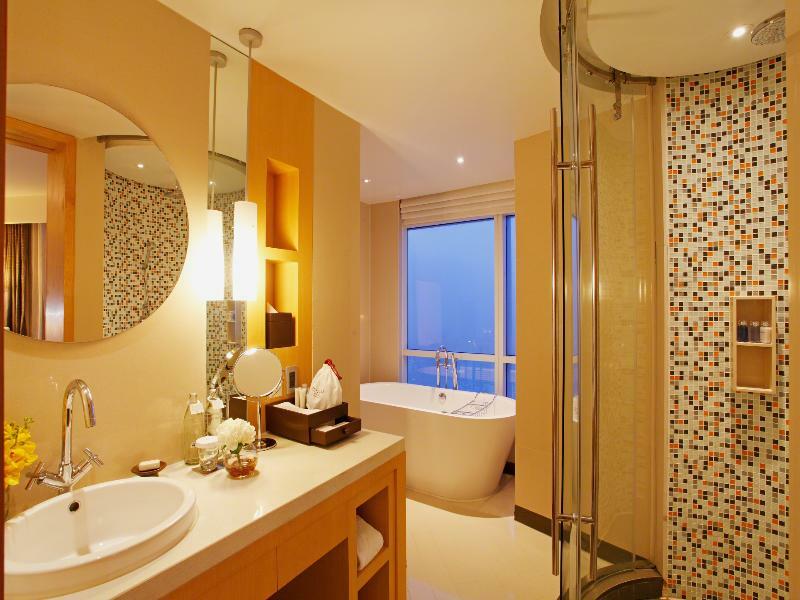 Walking distance to Platinum, Siam Paragon, Siam Square, Gaysorn, Big C, Erawan Shrine and a big Central Mall just below. Very friendly and helpful staff. Great stay and will book again. Highly recommended. This is one of my favorite hotel in Bangkok and I highly recommend for those shoppers due to the shopping malls is walking distance away. Hotel service was very good and housekeeping was very nice and very polite. We had stay in this hotel for uncountable times with world deluxe king and this is our third time we book a world two bedroom suite which I had always feel comfortable in this hotel due to the conveniences of the shopping mall and walking distance to central world(which include of Isetan, Zeb), Paragon, Big C, Grayson shopping Mall, four Face Buddha. Fruits will serve with champagne in room as a token of appreciation from hotel which even we didn’t drink but we feel the service that hotel are providing us are without any complaints. 1) when we check-in as receptionist saw my mom sitting wheelchair but she assigned high bath-tub to my mom room.... omg, how to make shower this period. 2) the hotel wifi was very bad reception wherever the wifi still getting loading. 3) hotel room designed smart telephone which not user friendly due to always need to plug in & out once not using. It’s very bad system as senior citizen how to operate. If you are a traveller looking to relax and have a great time, this is the place to stay. Views from the room are great, breakfast is awesome with massive variety and it is strategically located next to a mall that has a wide variety of places to eat. Clean, excellent size room, with good views, great facilities and breakfast, location brilliant and view from top bar superb (a bit pricey for drinks though)..all in all could not fault it. Highly recommend if you have no budget constraint. The hotel is just situated at central world. Lots of variety for the breakfast. Excellent customer service from the staff. Will definitely be back again. thumbs up for big bathroom, attentive staff, facilities (jacuzzi, sauna, gym, pool). at the pool, the staff will even remind u to put on sunblock. breakfast is awesome - go early though as the crowds come in 9am onwards and there can be a queue esp weekends. would def stay here again. I asked them to clean the bathtub upon checkin because there were wiggly hairs in it. Decent sized pool, gym and steam room were great and wide breakfast selection. Overall good stay but probably should update the room decor soon. Amazing location. So central with mall below and sky bridge access to all other shopping areas. The hotel is clean and beautiful. The staff are very friendly. They have invested in a new phone technology which is self help. This really makes communications efficient. However a word of advice for the hotel - please put in options for housekeeping. Eg we wanted face towels but didn’t have the option on the touch phone to do so. So the housekeeping staff came with bath towels instead. Having more options would make it more efficient for service staf. 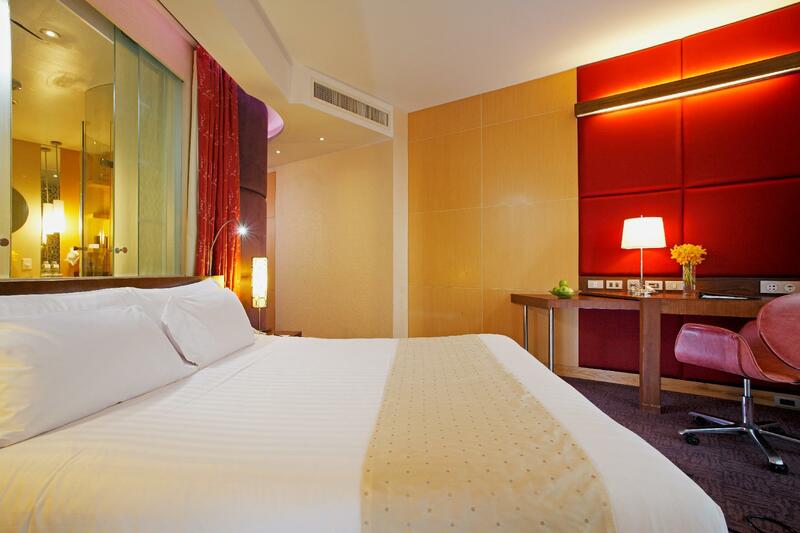 The hotel is located next to CentralWorld and Groove, right in the middle of Ratchaprasong Shopping District. Neighbouring Siam and Chidlom are within walking distance. A short walk via skywalk to BTS SkyTrain. The check-in staff were really helpful. The general condition of the room was very good. Large number of good restaurants and pubs nearby. Connected to major shopping malls by Skywall, so weather is not a problem. Rooms are a bit old but spacious and comfortable. Will surely return in future.